Fashion and art are powerful catalysts that directly influence the soul. Fashion and art exhibitions in Dubai and Abu Dhabi, specifically, are contributing greatly to promote young fashion designers and portrait artists. 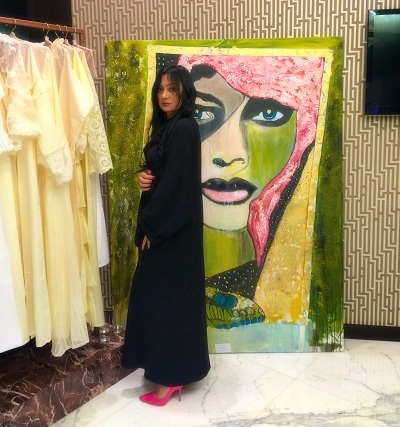 HF boutique collaboration fashion and art event at Ittihad Towers Abu Dhabi has brought together the pleasures of creativity in the form of fashion and art. Hessa Al Falasi is UAE based designer appeared with the fusion of traditional Arabic charm and contemporary notes of modernity in her creations. Her HF brand is recognized for customary Abayas with multi-cultural traces and textured fabrics. 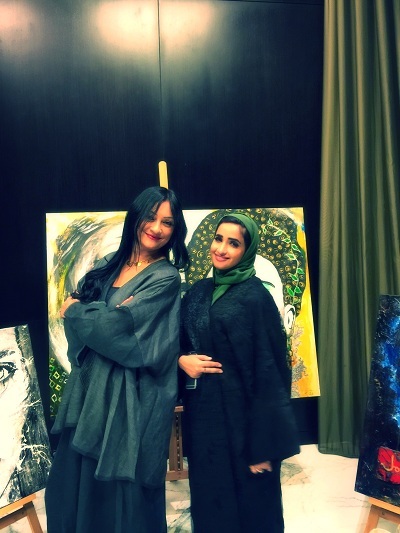 She emerged as great source of inspiration for young designers and, yes the Arab women just like Suzi F. Nassif whose paintings were also displayed at the event. HF boutique showcased its beautiful and comfortable outfits and elegant capes. Hessa Al Falasi displayed her fair share in fashionable yet practical and elegant Abayas. Yellow and whites tones with floral laces glimmered in the spotlight on the event. The print and hand embroidery shows the modernity inspired by Arab culture and customs in her collection exhibited at the event. Specifically inspired by elements of nature and human philosophy, Suzi showcased her artwork at the event. Suzi falls among digital surrealism artists who have great grip on all other forms of paintings, be it oil or canvas to abstract expressionism. The talented television anchor and model, Lara Tabet was also spotted at the event along with Suzi S. Nassif.